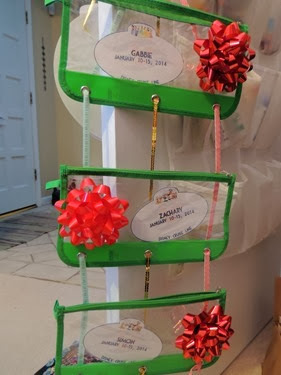 A few weeks back I told you about Fish Extender exchanges on Disney Cruises and then I shared some Fish Extender gift ideas. Today I want to share what I came up with for our Fish Extender and the gifts I’ll be giving to the families in our exchange. I like to think that I’m creative and a little bit crafty, but I don’t sew, so I made a no-sew Fish Extender! I used the pencil case idea that I saw on pinterest. 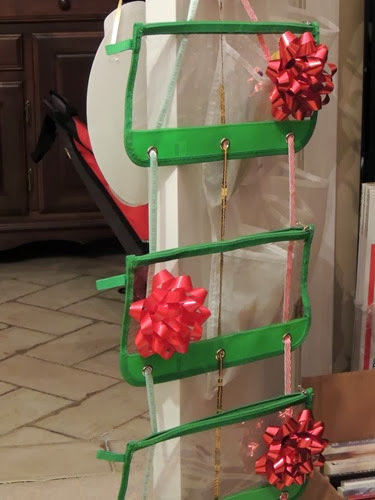 I used ribbons through the holes to hang the cases, plus to attach them to each other. 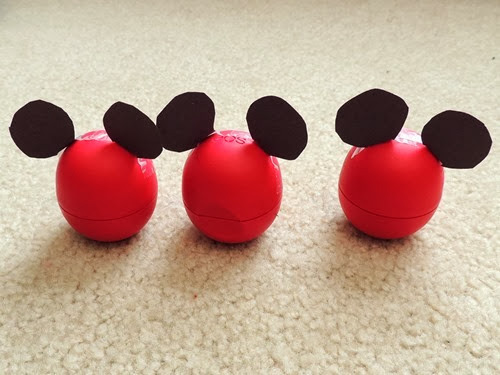 I also used hot glue to keep them together. 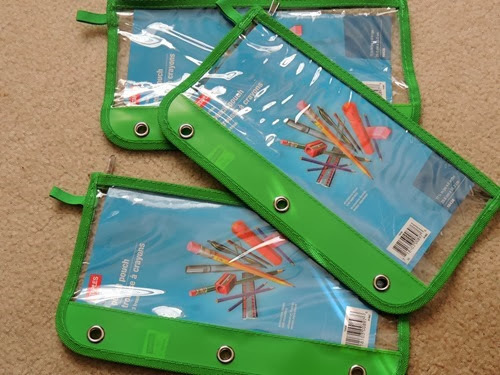 In each pencil case I included the Disney cruise name tags that were made for me on the disboards. 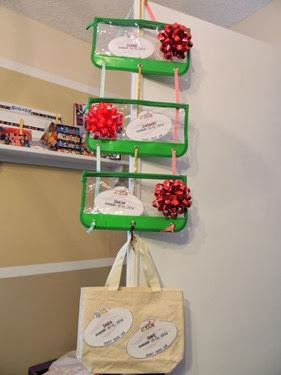 Then I added a small tote bag to the bottom, gluing on the name tags for Dave and myself – hey we might get gifts too! 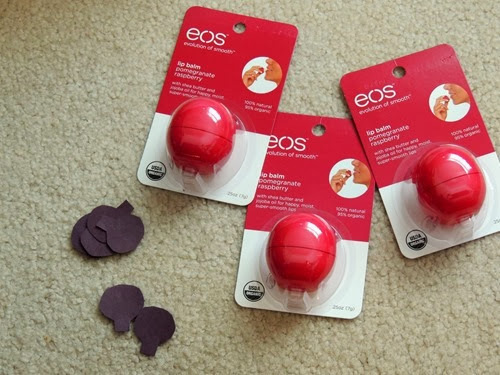 As far as gifts for our exchange, I started out with the lip balm idea for the moms in our exchange. I followed the directions on the link above, but I taped on my ears, which I cut out of construction paper. 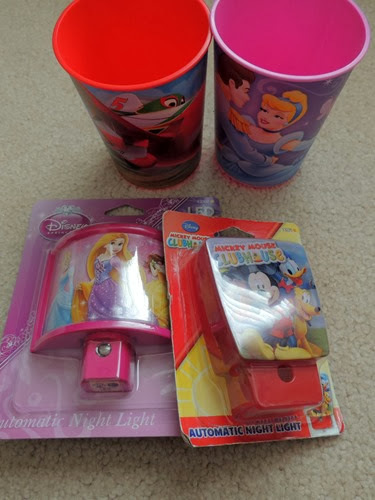 The kids will be getting Disney cups and night lights. 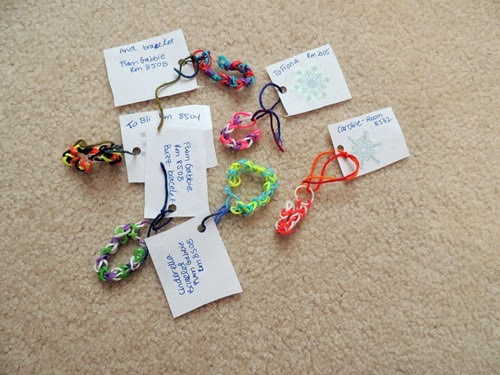 Gabbie made the kids (over age 3) rubber band bracelets in various Disney character colors. 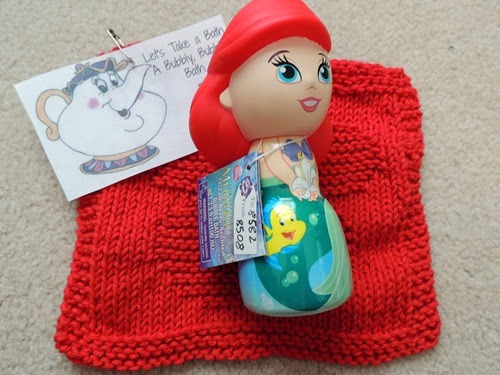 Each room will also be getting these adorable Disney bubble bath bottles and hand knit washcloths. 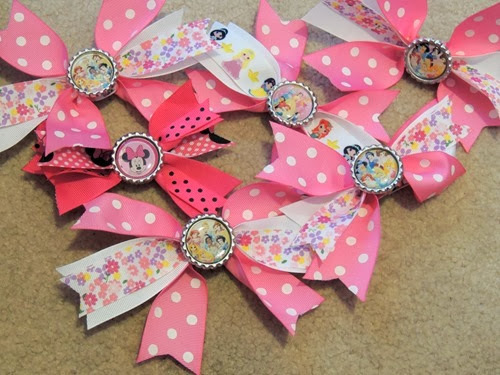 Leslie was awesome enough to make these beautiful hair bows for the girls! 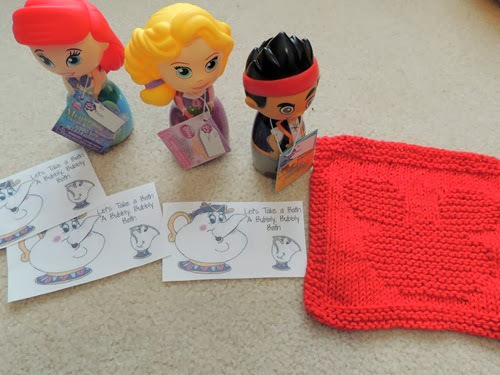 I think I may have gotten each family more things than in a normal exchange, but we only have 5 families involved so I felt like I could do a bit more for each! I hope they love everything and I’ll certainly share what we get in our Fish Extender when we get back!